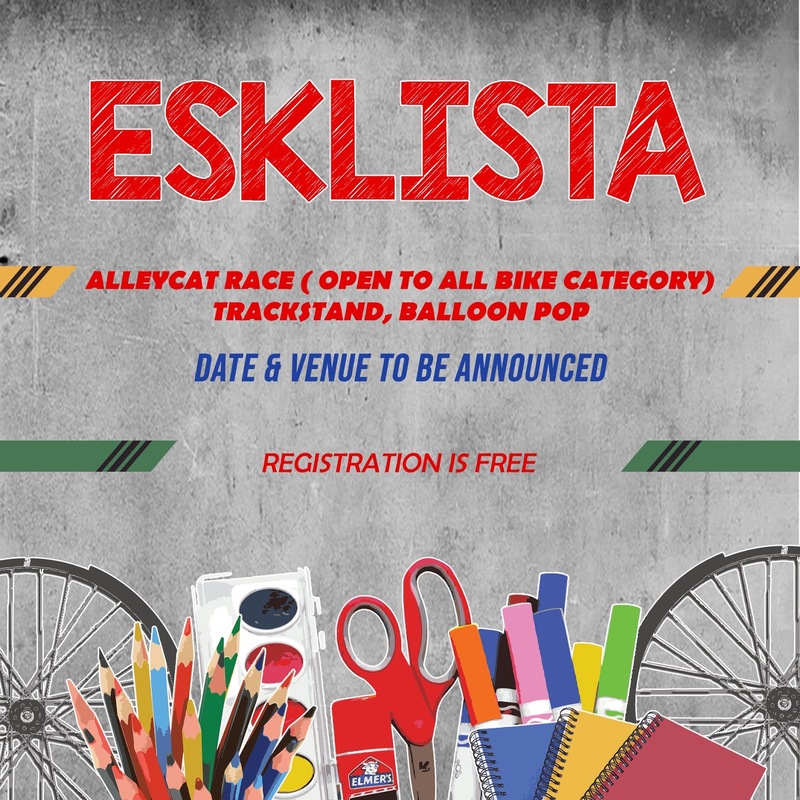 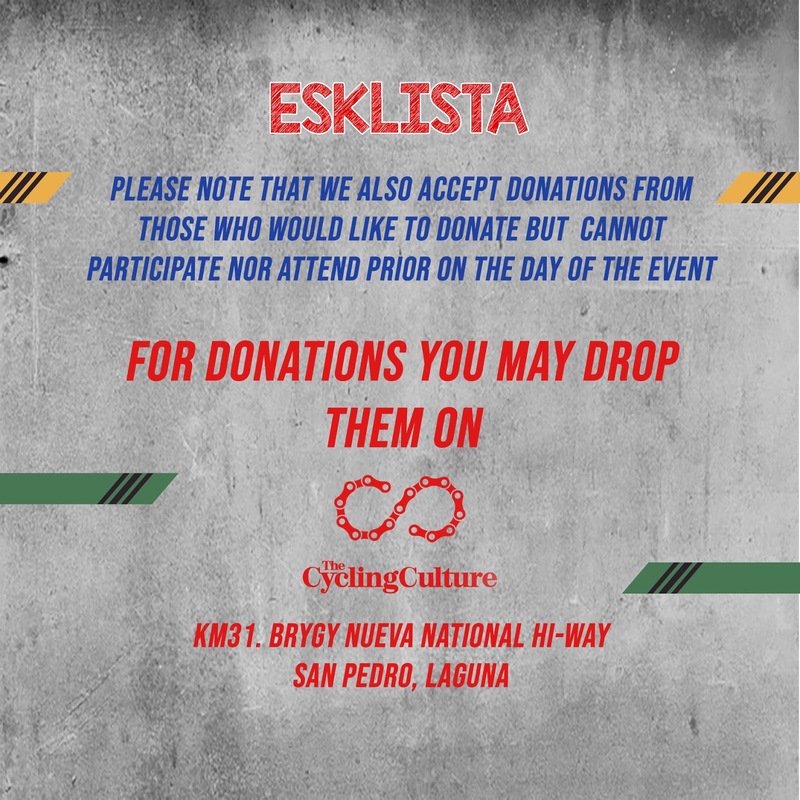 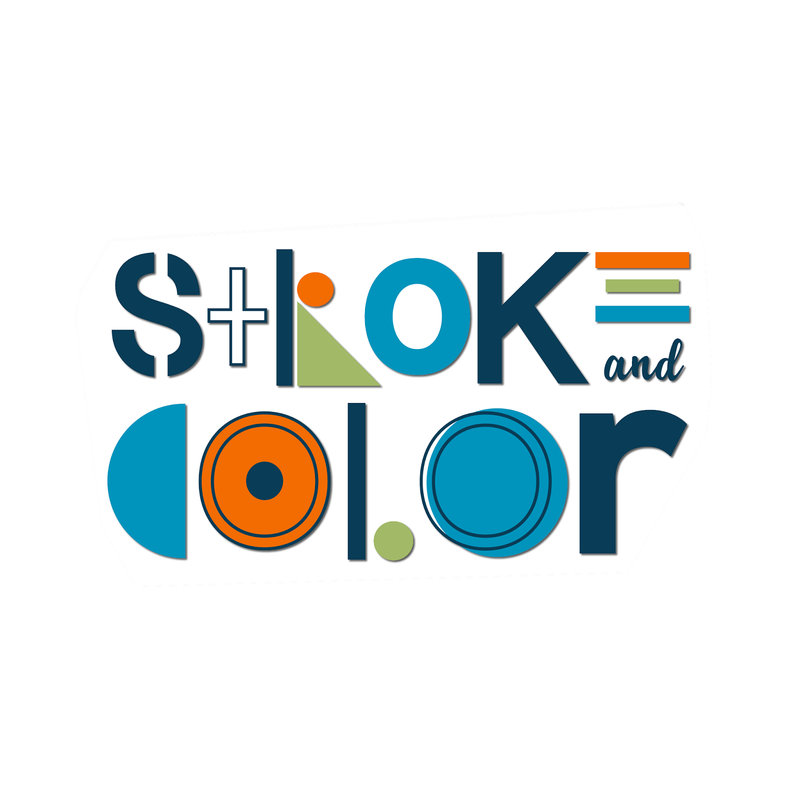 "ESKLISTA" officially organized by Stroke and Color with the help of cyclists would like to facilitates the donation of school supplies to needy and deserving children. 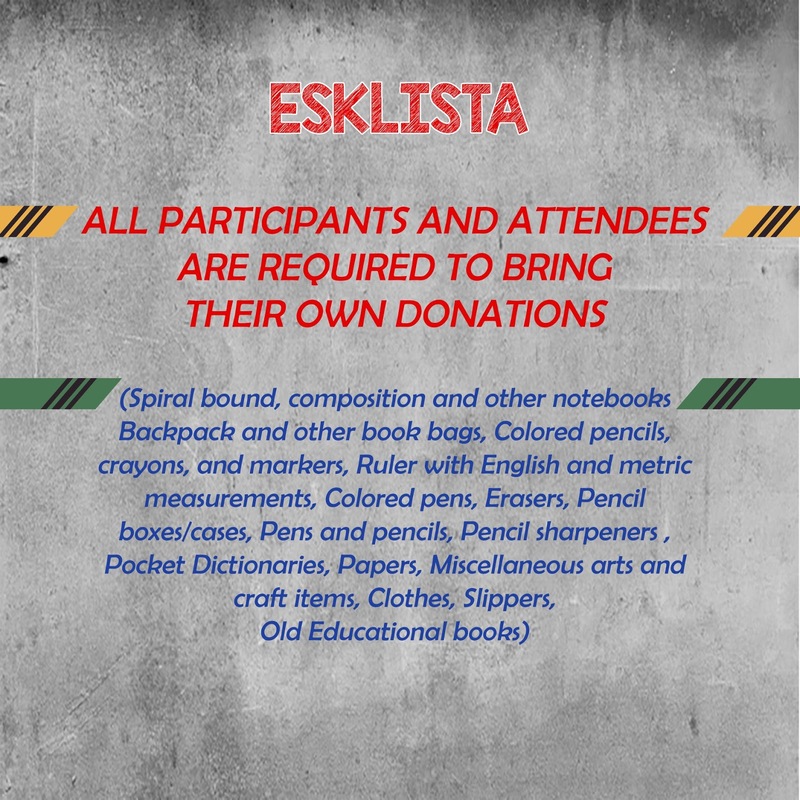 Join us through this ride as we respond to this needs. 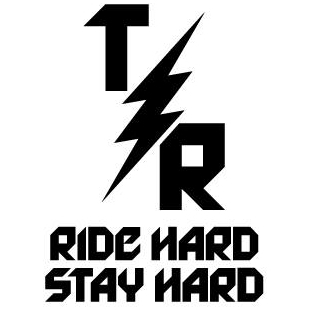 ALLEYCAT RACE ( OPEN TO ALL BIKE CATEGORY ), TRACK STAND AND BALLOON POP | DATE AND VENUE TO BE ANNOUNCED | FREE REGISTRATION!